The Daily Beast's Michael Daly has uncovered a remarkable story of police abuse that borders on the Kafkaesque. (Thanks Overlawyered for the tip). 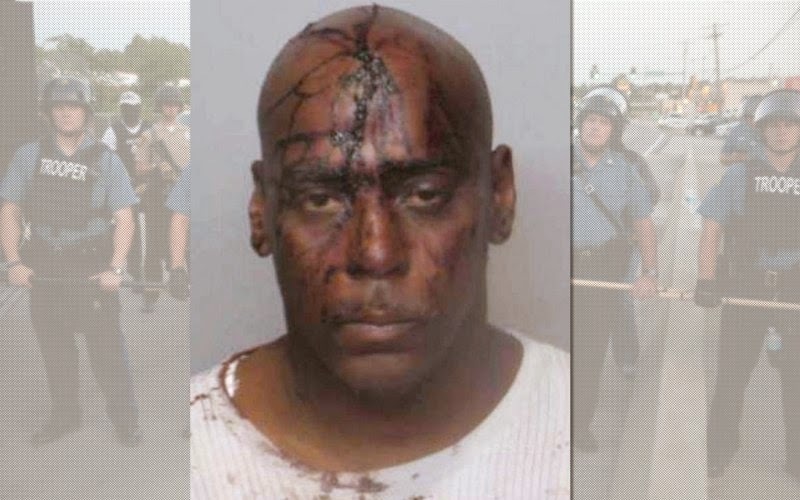 Henry Davis was arrested by police when they mistook him for another Henry Davis for whom there was an outstanding warrant. Our Henry Davis had a different middle name and social security number, but no matter. The arrest occurred nearly five years ago in September 2009. One interesting tidbit is that this happened in America's newest fave hotspot: Ferguson, Missouri. The short version: the police beat up Davis, concussing him and causing him to bleed. A lot. Although they had to admit he wasn't the man named in the warrant -- the only reason he was picked up in the first place -- he was criminally charged for . . . wait for it . . . getting blood on their uniforms. You ought to read Daly's piece to get the full flavor of the case. A quick check on Pacer reveals that Davis filed a civil lawsuit in the United States District Court for the Eastern District of Missouri in August 2010. During the case, according to Daly, the officers, who deny the excessive force, actually denied that they were bled on, even after being confronted with the signed criminal complaint. It also appears that the district judge found this perjury too minor for a due process violation, which is bizarre. If the officers lied to prosecutors about the damage to their uniforms in order to initiate and maintain the prosecution, Davis ought to be able to proceed to trial on a fabricated evidence/due process claim. The court also decided that the concussion was not a severe enough injury to merit a trial, which is another facially ridiculous ruling. Discovery in the civil case has also revealed that the Ferguson police force lacked any sort of system for reporting or investigating police misconduct, tracking misconduct claims, and so forth. Generally, if there was a claim of excessive force, the officer in charge of the case wrote it up and placed the only report in the criminal case file. Nothing went into the individual officer's personnel file, no data base was created, and there was no meaningful way for the department to know whether any of its officers had a penchant for violence or other misconduct. The case is going up on appeal to the United States Court of Appeals shortly. Good luck to Davis and his counsel.